Locally grown. It’s a movement that has been quietly growing for years in this country, especially in the Pacific Northwest. More and more people are shopping at farmers markets and joining CSAs. More and more people are purchasing eggs freshly hatched from local chickens, raw milk, and grass-fed beef. These foods may cost a bit more in dollars, but there is growing consensus that the cost to the environment is less. Spend the weekend of April 16 - 17, 2011, exploring locally made wine and cheese. Washington State is blessed with a mild climate, fertile valleys, and abundant grasslands. On the Olympic Peninsula alone, our farmers produce a great variety of fruits and vegetables, meats, seafood, and milk. 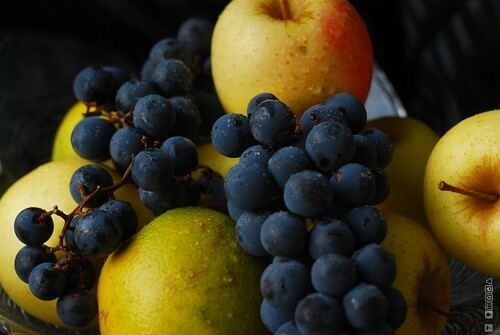 A trip to the Port Townsend, Sequim, or Port Angeles Farmers Markets reveals not only these fresh foods, but a host of items made from them; fresh jams, baked goods, artisan cheeses, and of course, Washington State wine and cider. NW Wine and Cheese Tour: April 16 – 17, 2011. 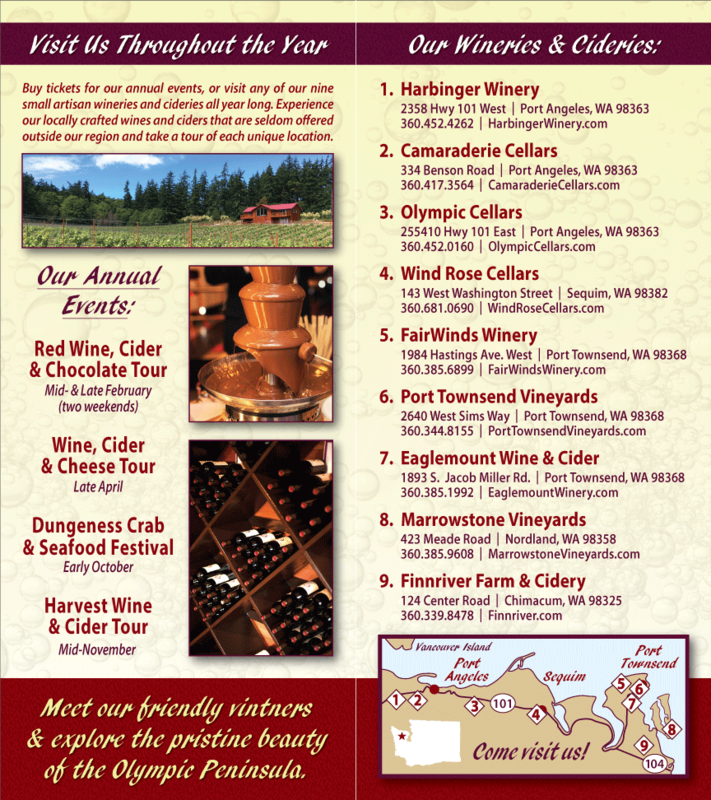 Olympic Peninsula Wineries and Cideries are joining together the weekend of April 16 and 17, 2011, for the NW Wine and Cheese Tour – to celebrate Washington State wines, ciders, and cheeses. Vintners and Cheesemakers are lining up sensational pairings of wine and cheese (it’s a tough job…), and look forward to sharing them with all who attend the NW Wine and Cheese Tour. 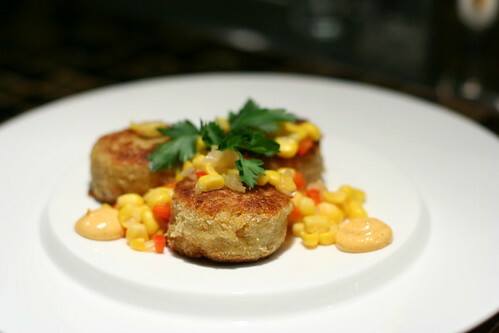 We hope you’ll plan to visit the Olympic Peninsula for the NW Wine and Cheese Tour, April 16 – 17, 2011. Advance Tickets for the self-guided tour include a commemorative wine glass and complimentary wine and cheese tastings at all seven participating Washington State wineries. Individual Wine and cheese tastings are also available at all participating wineries and ciders, for a fee of $5. For additional information or advance tickets, please visit see the NW Wine and Cheese Tour. 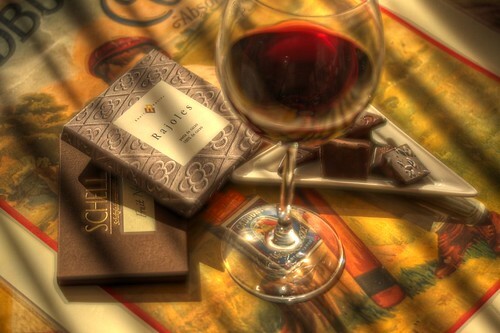 Indulge in pure joy - red wine and chocolate. Every year in February the Washington State wineries of the Olympic Peninsula dedicate two weekends to chocolate and wine. This comes at the perfect time – when the holidays seem ages in the past and spring seems far off in the future. Our advice: do not despair. Drink wine and eat chocolate. The incomparable Bottom Line Duo will play at Harbinger Winery in Port Angeles on Saturday December 4, 2010. Enjoy eclectic holiday music, eat local food, and drink our Washington State wines between 6:30 and 8 p.m. The Bottom Line Duo. Photo by Michael Good Photography. All inclusive cost: $35/person or $25/person for wine club members. Only 50 seats are available. Contact Harbinger Winery at (360) 452-4262 or email info@harbingerwinery.com. Celebrate the fall harvest with Washington State Wines. Pull your favorite wine glass out of the cupboard and bring it with you to the 2010 Harvest Olympic Peninsula Winery Tour. Celebrate the fall harvest with Washington State Wines and Ciders and a sampling of fresh, delicious, food. Participants will be able to sample new releases and try old favorites. For an added bit of fun, we’re adding a scavenger hunt this year. At each of the seven participating Washington State wineries and ciders you’ll be given a clue – find the item it describes and get a sticker on your card. If you find all the items and have the stickers to prove it, you’ll have a chance at wining a culinary gift basket. 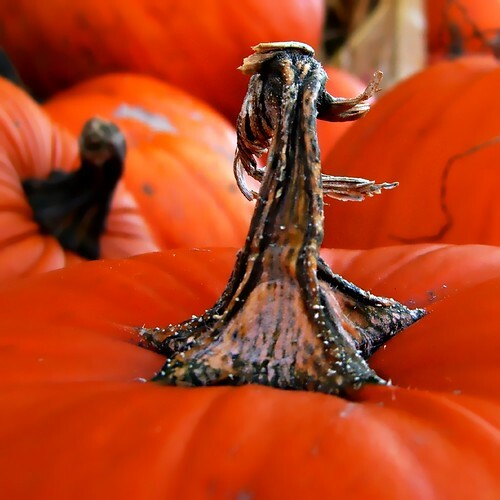 Below are a few Harvest Festival details for each Olympic Peninsula winery / cidery. The Sequim Lavender Festival is just days away, and the Olympic Peninsula Wine and Lavender Tour is in progress. Showers today should freshen the farms so the lavender will look its best come Friday July 16, when the Lavender Festival begins. By then, skies will be blue and fields of lavender will dazzle the eyes with green, purple and blue. But if you just can’t wait until this weekend, don’t. It is summer, after all, the best time to take a few days off work and treat yourself to a little rest and relaxation. Seven Washington wineries on the Olympic Peninsula are pouring hand-crafted wines and ciders as I write; why aren’t you enjoying a taste of it? Immerse yourself in beautiful lavender fields during the 2010 Sequim Lavender Festival.